BLOX Head Gasket - Pann Auto Performance - San Diego largest aftermarket automotive performance parts - What do you drive? BLOX Racing is excited to introduce its new line of metal head gaskets. These 3-layer MLS head gaskets are being introduced for Honda B-series engines in 81mm and 84mm bore sizes, respectively. 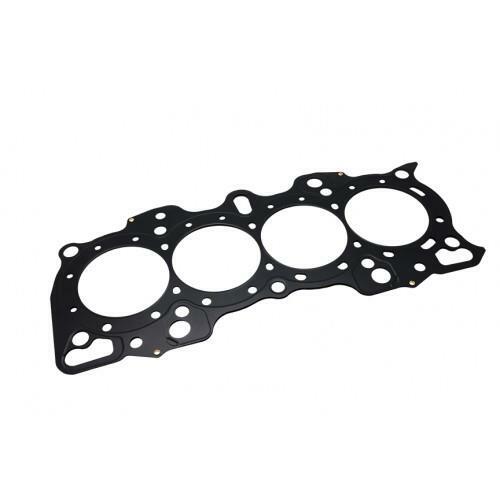 BLOX Racing MLS metal head gaskets are specially designed to be used in conjunction with BLOX Racing’s LS/VTEC conversion kits, for B16/B18 or B20 blocks, but are also ideal high performance OEM replacements. All MLS metal head gaskets are coated with a high temperature and chemical resistant polymer and then finished with a Teflon coating. Compressed operating thickness for each size head gasket measures 0.030”. BLOX Racing MLS head gaskets ensure engine builders of proper fitment and maximum performance.